Earlier this week, Revelation Online had it’s first major update. 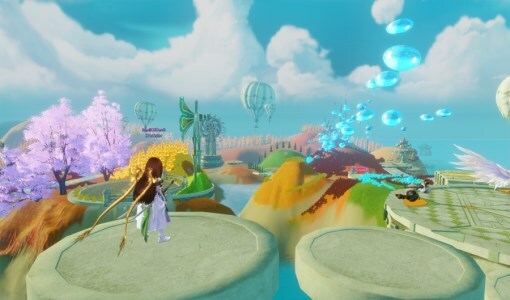 Along with several fixes, broken content, and Starshatter Island, Faerie’s Funland was added to the game’s weekly events. This is a fun event that lasts the course of the day starting at 6AM PDT where you and your friends can take a little break from all the serious stuff and hang out in a giant amusement park of sorts. The event takes place every Tuesday and Saturday. 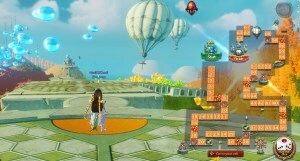 From various minigames to literally riding amusement park rides, you can gain a variety of goodies from participating. Keep in mind however, that you only get 5 free dice rolls, and any beyond that you have to….hate to say it….but you have to pay for it. However, the longer you play the board game for, the better the reward at the end! And the reward can be a very good one if done right. So what is Faerie’s Funland? 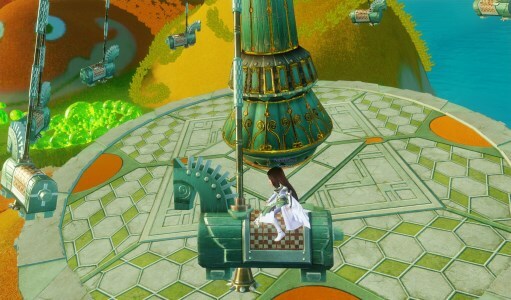 Faerie’s Funland is a giant amusement park that’s in the game via it’s own instance, much like all the other events and dungeons that have their own regions. To go inside, you’ll either have to travel a long distance to reach the portal, or use the very handy Zip feature allowing you to teleport directly to the entrance. The amusement park is bright and colorful, much like one would expect to see when it’s built by a bunch of Raccoons! When you arrive inside of the park, you’ll notice the various rides in the distance, and a small platform in front of you. On the platform, you’ll see a giant blue diamond marker. This marker is you’re place on the board game! To start the event, talk to the raccoon standing there with the quest icon. He will give you 5 free dice roll tickets, and a few other things to get you started. (This process is done on both days when you enter.) If you use up the free tickets, you can always buy more from the shopkeeper standing on the same platform. They can be pricey though, especially if you’re lower level. The point of this event is to help free players get their soul grid crystals, as well as a way of getting the best in slot pre-79 earrings. The soul grid crystals are also unbound, so they can be sold for small amounts of Imperial Coins. The event can take anywhere from 15 minutes all the way up to several hours to complete, depending on how many “rooms” you land on during the board game. How do you play the Funland Boardgame? As mentioned, you’ll already have it started upon entering the instance. By talking to the questgiver, you get 5 free tickets that are used up when you roll the die on the boardgame interface that has appeared on your HUD. Simply click the “Roll Dice” button on the board game to begin. You will roll anywhere from 1 to 5 places, and the platforms before you will now show you green arrows leading you to your new location. Once you reach your new place in the game, you will see a shiny golden portal. Enter that to begin that Room’s challenge and you’re well on your way to the end of the board game. You repeat this process until you’re finished. Alternatively, if you’re rolling in Aurumn or Bronze Shards, you can purchase Dice Cards. These cards grant you special effects when you roll the dice as well as when you enter and win a challenge. The bonuses of these range anywhere from forcing the die to roll a 1, granting double rewards when you win a challenge, or rolling up to 3 dice at once. If you’re closing up on the end of the board game and you don’t want to finish yet, you can always make use of that handy Bomb Card, which will reverse the roll and make you go backward for that roll. The downside to using these cards (specifically the ones bought with Bronze Shards) is that you have a limited number of uses per day and per week (meaning both days the event is available). Most of the challenges are quite simply actually. The first time running through them can prove difficult and maybe even irritating for some as the “show gameplay” button does not work. This means, you have only the screenshot to go by on what you have to do. If you pay enough attention though, catching onto what you need to do isn’t that bad. Most of the events are also repeated throughout the board game. You can see what spots have what challenge on them simply by hovering your cursor over the place on the board game. It definitely helps when choosing which Dice Card you should use and when. The challenges are basically a set of minigames in a variety of gameplay styles. These range from jumping puzzles, dodging mechanics (these mechanics are actual raid mechanics in the expert dungeons so it’s good practice! ), playing Rock-Paper-Scissors, and even sometimes fishing! There are other challenges that are far more difficult as well…These ones had me and my girlfriend locked inside them for about an hour each our first time in them. I’ll save you the trouble of the most confusing one’s answer: 2 > 3 > 5 > 6 > 8 and listen to the Lost Mouse. That is how you solve the riddle for the “Lost Space” challenge. That challenge has been the bane of everyone’s existence during the event, so it helps knowing where to start if you can’t solve the riddle that the raccoon gives you. There’s also a challenge where you have to find a merchant in the middle of a giant maze, all while following a very fast mouse. If you lose that mouse, finding it again can be a problem. But aside from those two, figuring out the rest was rather simple overall. Can I do Funland with a friend? Yes, and no. Yes, you can go in while in a party, and even see them inside the region. But no, you can’t actually help them in any of the challenges unless it’s one like the “Lost Space” one where you can lead them through it. You can however, show them what to do if they don’t know and you’re making use of the 1 Star Cards. By using a 1 Star Card, you force the die to roll a 1. This means, if this is the only card you use (can be used with double reward cards too!) then yes, you can actually do this with a friend if they too are using this card to manipulate the dice. How to get the best reward at the end? Well, there are several methods to this and the “best” depends on why you’re doing the event in the first place. If you’re just going in there for the tickets and a quick and easy run, than using Triple-Roll Cards are the way to go since they give you Funland tickets x the dice roll total you roll. This strategy helps a lot in the end since you can jump 18 places at most, and get 18 tickets each time you do it if you’re lucky. You can also go for the long and large haul. This strategy makes use of every place on the board game, giving the absolute maximum reward at the end if you win them all. For this, simply spam use of the 1 Star Cards, and do all 64 challenges. If you’re lucky with this, you may walk out with the Rainbow Orb along with several other great rewards! But the “best” reward will take several weeks, since that is the Earring that you have to craft using a variety of goods from tickets to Demonslayer Materials. So why should I do Faerie’s Funland each week? Well, if the above hasn’t convinced you yet, gold earrings are only obtainable in two ways: through dungeons and crafting via Demonslayer Materials or Scour Materials. By doing Funland, you can obtain these in a fun and easier way since a party is not required. Granted, it will take some time and effort to get the highest level of these earrings, but the added damage reduction makes them all the more worth it in the end. These earrings are especially effective in PvP where something like damage reduction +3% can make a HUGE difference. If you are lacking in money or the soul grid’s crystals, you’ll easily get a bunch of both when you complete the event. 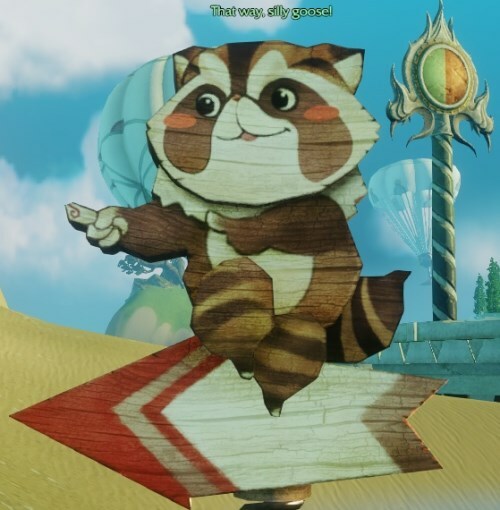 And why not enjoy your time while you’re there, ride some rides, talk to other players, and laugh at how oddly huge your character’s head has become due to the effects of the raccoons mind tricks. Or you could just chill out in the room where you can drink wine and see triple of everything…that’s always fun! Overall, the Funland experience was indeed fun. At first, I was really confused, and a little irritated at the developers releasing yet more unfinished content (no guide videos for any of the challenges despite there being a button for it), but as I advanced along the card and entered more rooms I noticed a really big similarity with a past game I played. This event is exactly like Perfect World International’s “Cube of Fate” daily event. While the Cube only had like 40 rooms and this one has 64 total, most of the challenges are exactly the same as the Cube (except the jumping puzzles). I found dodging/survival challenges, Pay to Get Out challenges, Listen to the Hive challenges, and others that involved PvP and shear luck. All of which are also found in the Cube of Fate. This certainly made understanding many of the challenges easier since I’ve already done them in PWI hundreds of times. Upon finishing, I ended up with over 190 Funland Tickets. For a comparison, it costs 120 of those tickets for the lvl 40 gold earring and 30 for the purple one needed to craft it. So, I managed to get the first of the 5 earrings in the first day of the event, by using only 33 1 Star cards. On my alt, I managed a total of 156 tickets without any cards, so anyone who can roll until the end of the game can get the first gold earring with their first run inside Funland. There are cosmetic items as well for anyone wanting to put candy in their hair too! But overall, this event favors the Cash Shop player, much like Starshatter Island does. The cash shopper is not limited on the use of the 1 Star Cards (also why I was able to use 33 instead of only 3 (Bronze Shard 1 Star Cards)), and they can do all 60 events plus the additional ones gained by using the Bomb Cards. It’s definitely worth doing even as a free player, but the cash shop player will get their earrings much quicker than any free player can due to this huge advantage. It’s a good thing you can buy Aurumn with ingame currency though, so it’s not too bad if you have enough Imperial Coins to do that. I did run into a few bugs and graphical glitches while doing the event on my many characters too. The first was pretty noticeable when I killed a boss for a shortcut to win the challenge. My platform elevator only showed up as the edges of the graphic instead of the whole platform, preventing me from being able to jump on it. Other times, I got stuck on a couple of the spots and couldn’t move, but luckily they have a handy “Return to your Place” button which brings you back to the last challenge to entered (I.E. your place on the game board). Things like these were all that I found causing problems though and the overall experience of the Funland was pretty entertaining! So, if you’re looking for a fun unrelated minigame extravaganza, then the Funland is for you! And remember, if you get lost, just follow the Raccoons! 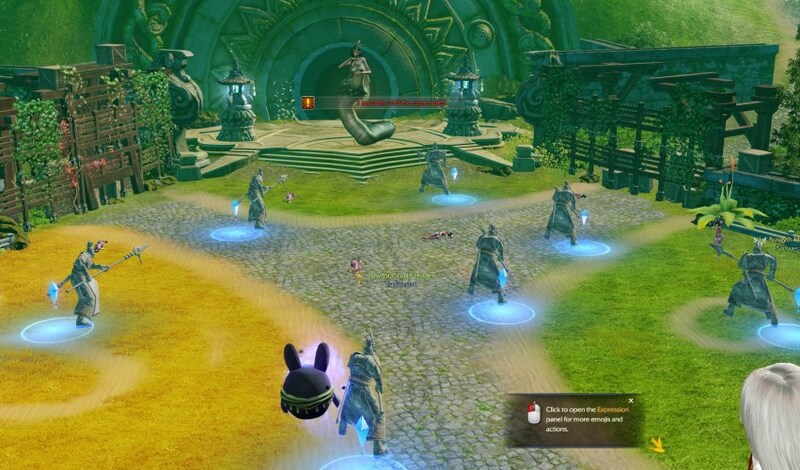 Information about Revelation Online's latest weekly event, Faerie's Funland. Discusses what and how to complete the event. 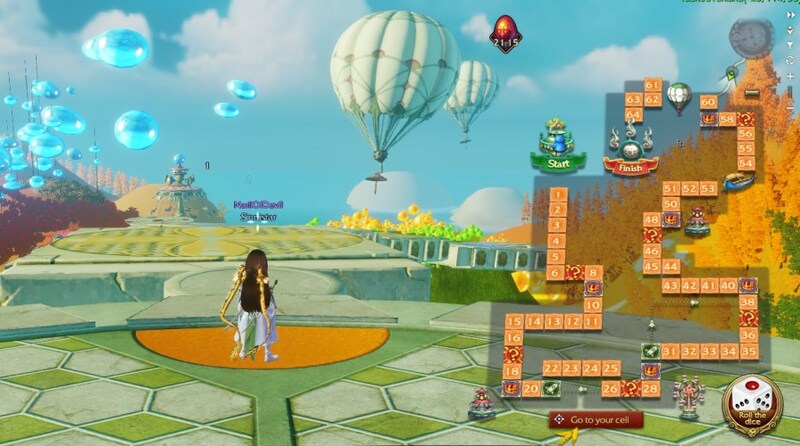 Reveals the Faerie's Funland rewards and why it is worth playing.